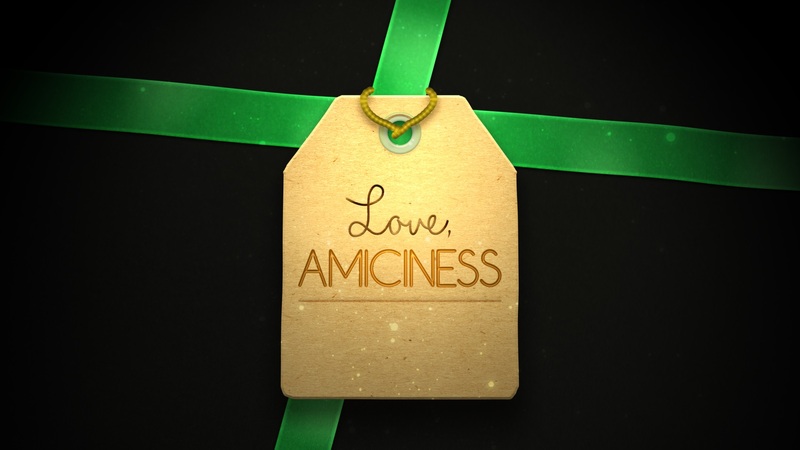 We at Amiciness are passionate creators and frustrated artist/film-makers. Hence, Love, Amiciness, a subset of the Amiciness brand was founded. Our vision is to tell your story through motion graphics the way you want it to be told. If you like what we’ve done so far, hit us up through our Love, Amiciness contact form below. We would love to hear from you. It started with friends and family asking us if we could do something for their special day (after watching our travel videos). Our first one was for a little girl’s baptism. Okay, sure why not? Then, our college friends started marrying each other. And apparently, growing-up videos were a thing in the wedding universe. We’re single so we didn’t really care. But now, we so do! We’ve made it our primary duty to make our AVPs as impactful and heartfelt as possible. After all, everything Amiciness is made with love. It all depends on what you want us to make. Tell us using the contact form and we’ll get back to you with an estimate as soon as possible. We need your requirements along with photos and videos you want to include at least one month or two before the event. This is still negotiable, but we would want to take as much time as possible to make your videos special. How will you get my photos/videos? As photo and video files can be huge we prefer getting your files by uploading them to a cloud storage service (Google Drive or Dropbox). How will I get these motion graphics? We will provide the files by e-mail or your preferred cloud storage service (Google Drive or Dropbox). We’re just a two-man team starting up so we do need help with our portfolio. What that means for you is you get our services for the fraction of the price of bigger, more established companies. Tell us what video/s or graphic/s you require. If you selected "Other" above for the Event, tell us more about what type of event it is. 👍 Amiciness is on social media! 📸 Follow Amiciness on IG!